Are you frightened for getting a negative post from your audience? 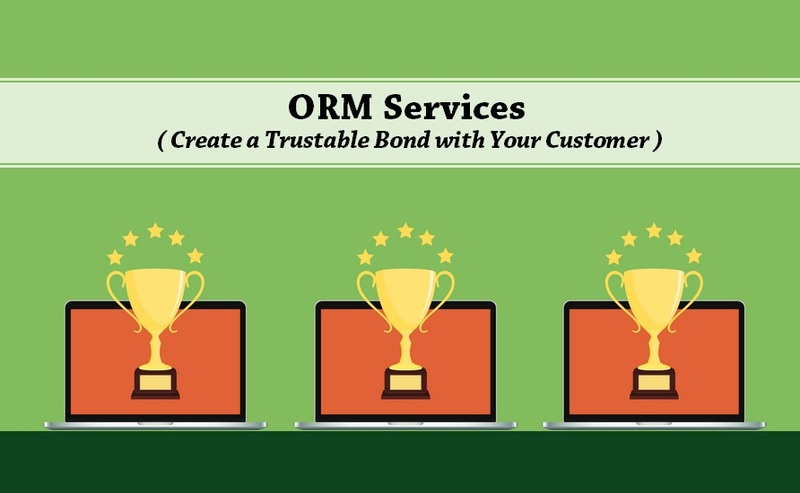 ORM Services is always there for you to proactively represent you as a brand and create a trustable bond with your customer. Whatever is the nature of your business, whether you are a common man, entrepreneur, politician or a public-figure put your faith in our digital know-how to create an impactful online reputation for you. ORM or Online Reputation Management as the name itself hit its meaning as an apparent process of managing or can indirectly say influencing the thought procedure or perception of people for anyone it can be individual or a corporate entity. Today internet is treated as a garbage bin which gives it’s followers the freedom to post any comment whatever they see in online space without having any fear. That means the status of any individual is acknowledged on the basis they present themselves over the web. Why Should You Manage Your Reputation? All this sort of erroneous comments whether coming from industry end, competitor, ex-employee or from customers whosoever be the person or whatever be the reason behind such comment but the point is, this will only going to tarnish the reputation you have earned so hard after furnishing so much to this industry and this will be devastating it at worst. Not only this much any negative impression will grab your earned market from you and give it’s complete control to your neck-end competitor. We know how critical it is to earn the valuable feedback from the customers and maintain the reputation in such competitive environment. One’s reputation is probably the most important thing one can ever achieve in today’s connected world. And a single or minute negative mention about a person character or company on the internet it will practically leave it’s footprint there forever and the consequences will have to be bear by many generations. Such nuisance comment will pop up every time when a user searches for that person or company profile on the internet. Online Reputation Management (ORM) is therefore comprised of a reputation-saving weapon for the company to harmony their respect they have earned so hard. 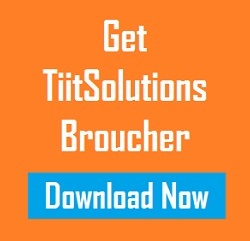 TIIT Solutions conquest a great deal of experience helping many companies and individuals protect their image and their brand value. We can help you to erase all the negativity spread around your/corporate name, product as well as brand and gives you a clean slate to flaunt among your audiences. We protect your brand from ascertaining any negative publicity and neutralize all the negative conversations that are influencing your prospective client’s decisions. Your reputation matters to us a lot. That is why we work on for rebuilding a pro-active brand new reputation management solution that will defend your brand image and shield a layer of guarded protection in the form of trustworthy ORM weapon so that you can get a sigh of relief. With our strategic reputation management plan get free from the tension of any black trick of your competitor strategize against you. Trust the PR skilled of our experts to repairing negative and damaging listings that can hurt the reputation of you and your firm by focusing on positive mentions of your brand that naturally outrank and push down the negative results. Consider us because your reputation is our own!